CAROL LEEMING FRSA - LEICESTER POLYMATH RECEIVES ACCOLADE ! 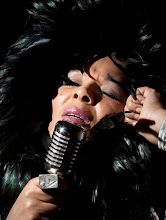 Dare to Diva arts company, is proud to announce that Carol Leeming, its Artistic Director and lead artist, working in literature, performing arts - music drama & multi-media, has been made a Fellow of the Royal Society for the Arts. This follows her nomination, by a RSA Council Member and her subsequent election to the Society. A surprise champagne toast and celebration took place recently for Carol at the PINGGG…K! Spoken Word Event, in Leicester hosted by poet Bobba Cass. Bobba Cass's speech, highlighted her 'selfless work with artists ' Carol hopes her latest honor, will inspire other artists to achieve excellence in the arts, especially women artists from BME communities and other culturally diverse groups and communities. This current accolade follows Carol's Lifetime Achievement Award for the Arts , given by the African Caribbean Citizens Forum Leicester in 2012 , highlighting her successful contribution to the London 2012 Cultural Olympiad. With a stunning innovative show 'The Loneliness of the Long Distance Diva - A Choroepoem (poetic monologue, music, movement and digital visuals) to enthusiastic diverse audiences for two packed nights at Curve Theatre June last year. As a result Leicester University New Writing Centre have given Carol the title Choreopoet . This last production, (subsequently lead a national trend for choroepoems by artists Chanje Kunda Manchester & Gemma Weeks London), was set in Leicester and celebrated Leicester's unique diverse accents alongside its themes of overcoming adversity and celebrity in society. Carol Leeming has also been a longtime champion of Leicester and its diverse artists. Carol carried the flag for Leicester as she had a successful career in the 90's in the music industry. In the past Carol has produced to two documentary films set in Leicester : IN2BLUZ and Wer'e Not Getting Anywhere - about Blues Music & Young People and Racism & Mental Health respectively . As a poet in 2012 two poems written by Carol : Highfields Fantasia & Valley Dreamers - inspired by Leicester, were published in a ground breaking national poetry anthology Out of Bounds (Newcastle & Bloodaxe) . Dare to Diva company, founded by Carol working with selected local arts creative teams, has produced many achievements, some include: curating Music, Dance, Live Literature with Events for BBC Music Live & BBC Africa Lives, also Leicester Black History Seasons, successful own branded events e.g. Nubian Star Lounge - Performing Arts, Style Up - Heritage and Carousel - Alternative Cabaret & Circus. Dare to Diva and Carol Leeming, best represents excellence & innovation, having championed and showcased culturally diverse arts, both in Leicester and further a field. All text material in this blog site is copy right Carol Leeming unless stated otherwise. Powered by Blogger.